Upon special request from many security, law enforcement and emergency medical professionals, UK based PPSS Group are now in the process of developing a new high performance ‘Dual Protection Body Armour’. This new body armour is due to offer both, NIJ Level IIIA ballistic protection as well as NIJ Level I stab protection. 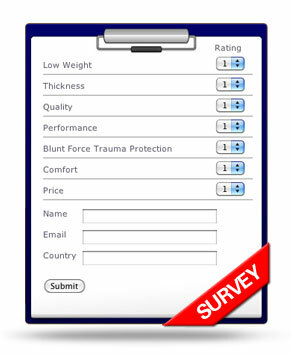 In order to ensure that this in late summer to be launched body armour is exactly what potential customers are looking for, Robert Kaiser, CEO of PPSS Group, decided to use a customer survey as part of their research and development. The survey offers all participants to score a number of criteria, all which might be perceived as equal important to the manufacturer, but not necessary by the end consumer. “Some security officers might feel that a low weight is their top criteria when looking to purchase body armour. However, another law enforcement officer might feel strongly about the cost and another paramedic could feel that the level of stab and needle protection is the key.” Robert Kaiser continues. “For us this project is once again not about designing, developing and manufacturing the body armour which allows to make the highest possible profit margin, but rather a body armour that will be perceived as the best by those who will wear them,” he concludes. High performance bullet and stab resistant vests made by PPSS Group are now worn by homeland security agencies, diplomatic protection personnel, emergency medical professionals and correctional officers all over the world.